Three Disney princesses on one gorgeous glass! 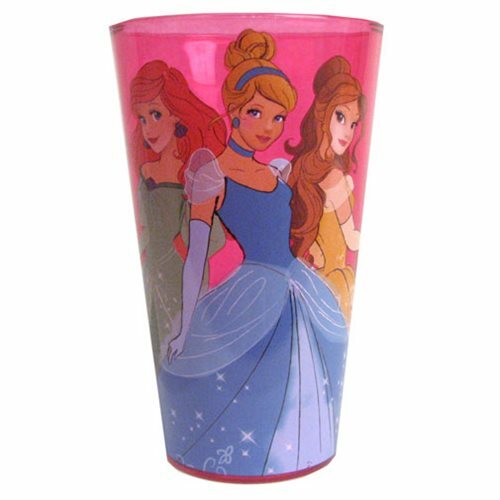 The Disney Princesses Belle, Ariel, and Cinderella Pint Glass holds 16-ounces and looks fabulous. Hand wash only. Not dishwasher safe. Do not microwave. Ages 13 and up.